The Town of Mosman Park council decided this week to investigate the concept of building WA’s first ocean pool at North Leighton Beach. The pool would cost around $7M and be 50 meters wide. The Mayor of Mosman Park, Ron Norris is interviewed in this Channel 9 News story. 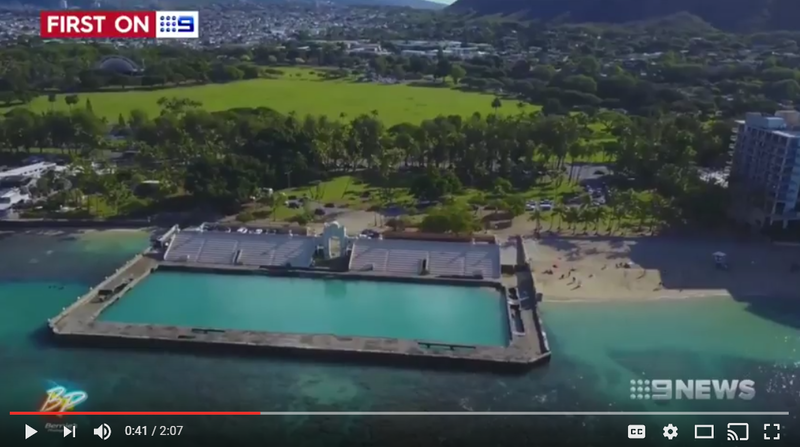 The pool would be similar to the recently upgraded Merewether Ocean Baths in Newcastle and another in Honolulu. See our photo gallery and videos for many other examples of ocean pools from the Eastern States and around the world. Also see article in the West Australian. This entry was posted in Ocean Pools, Western Australia and tagged baths, Channel 9 News, Leighton Beach, Mayor Ron Norris, Merewether, Mosman Park, Ocean Pool. Bookmark the permalink.